Keep the sun out of your eyes with this customizable trucker hat! Perfect for vacations, this is a great addition to outfit the whole family. 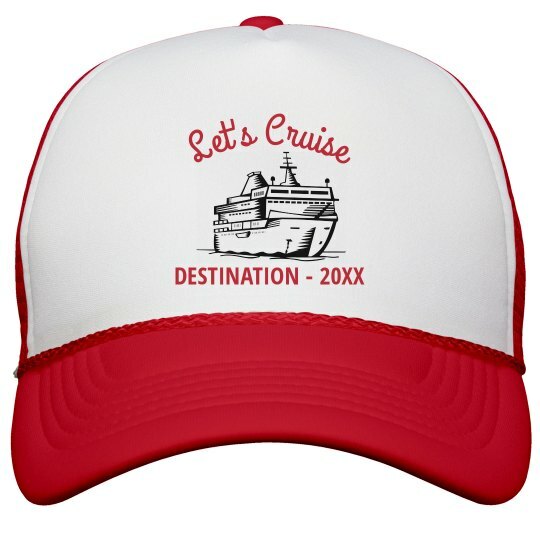 Personalize the text to your cruise destination and year of the trip, and you will be looking stylish in no time!